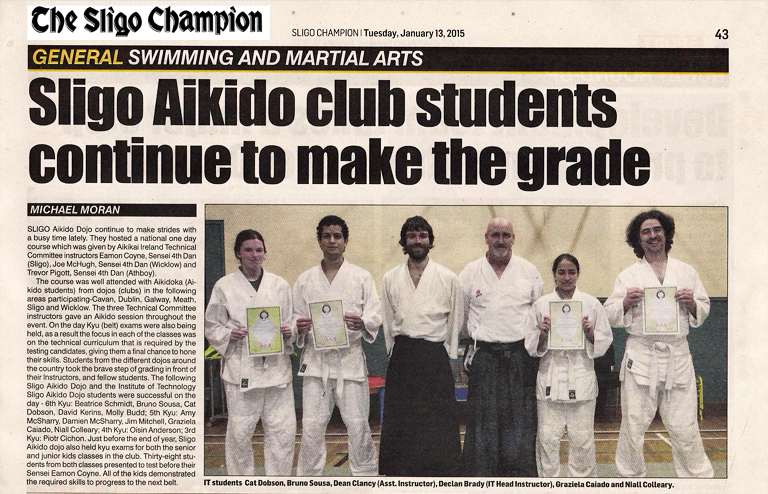 in Northwest of Irelands largest newspapers!!! 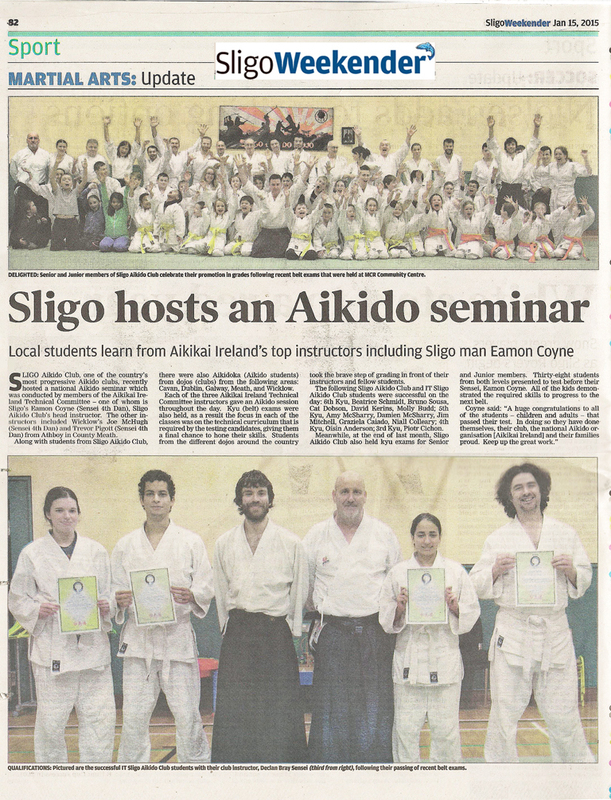 The Aikikai Ireland Seminar and Adult Gradings in Sligo Aikido Dojo and the Sligo kids classes gradings has gotten great coverage in two of the Northwest of Irelands biggest newspapers the Sligo Weekender (www.sligoweekender.ie) huge thanks to Liam Maloney from "The Weekender" and also to Michael Moran from "The Champion". (http://www.independent.ie/regionals/sligochampion/).